Buying a land plot always implies concerns. Not everyone can afford to buy good land, so you have to make attempts to improve it. A big problem for many sites is the occurrence of groundwater close to the surface. 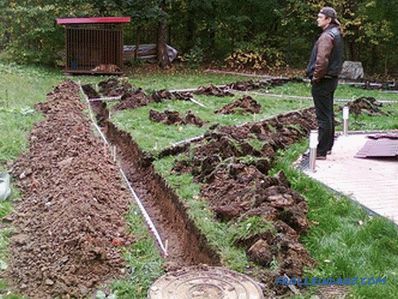 Most people do not know what is long standing on the site rainwater, refers to the signs of a high level of groundwater. Only when the moisture gets to the buildings and destroys the foundation, people begin to think about solving this problem seriously. One of the ways to eliminate groundwater is the construction of a special reservoir. Excessive moisture in the ground leads to the proliferation of bacteria that are unsafe for humans. In the garden, excess water is also harmful, as the yield of vegetables decreases, and fruit trees rot. In cold weather, water turns into ice and tears up the roots of trees, asphalt and brickwork. Such tanks are used for cleaning pumps from pollution (held periodically). 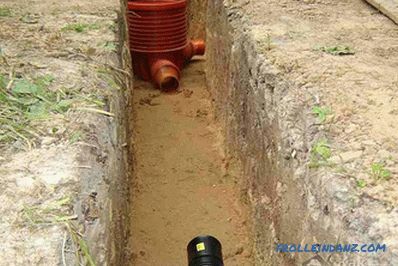 The installation of the pivot wells is carried out at the corners and joints of pipes. Naturally, at every turn they are needed, but after one turn they are required. Rotary wells are also called inspection. The size of an engineering structure is affected by the complexity of future repairs, and, more precisely, will it be necessary for a person to go down to repair equipment. These "tanks" are needed in order to monitor the effectiveness of sewage processes and system inspections. 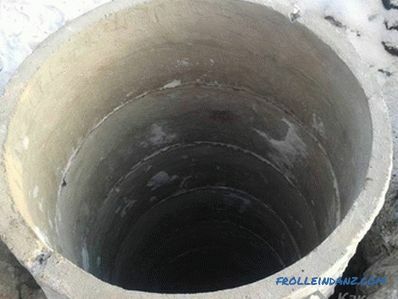 A drainage well shaft is made with a diameter of one meter so that a person can go down through it to the system to check its condition. Their second name is filtering. Such a drainage well is needed where it is impossible to divert water, but drainage is required. In depth such a tank must be at least 2 meters. The whole process begins with the digging of the pit. 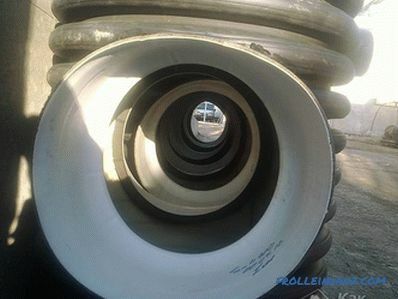 After the end of the “dirty” work, it is necessary to fill the bottom with rubble and install a pipe that is at least one and a half meters in diameter. In the installed container (pipe) we pour rubble or other large material (broken brick and gravel will do). 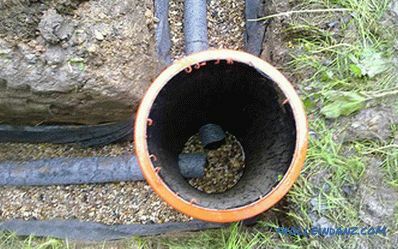 Gravel should also be poured behind the outer wall of the pipe. 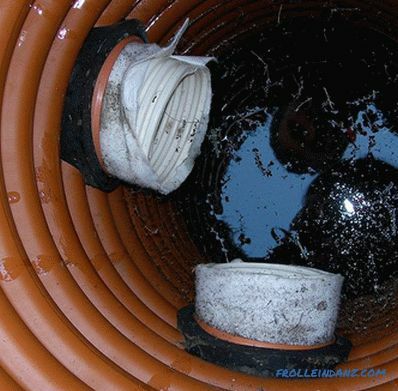 A geotextile bed should be laid on top of the drainage well and covered with sod. Drainage tanks are the last link in the system in which water is collected before it is distilled for the site. 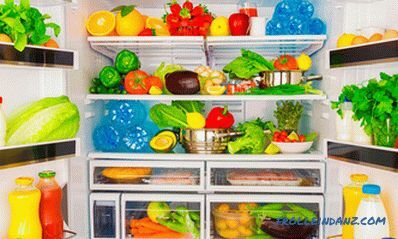 To simplify installation, you can purchase plastic containers. They are fully operational and sealed. 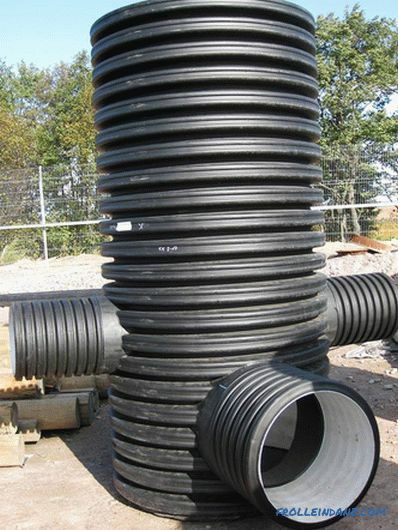 Drainage wells vary greatly in their production material, depth and diameter. 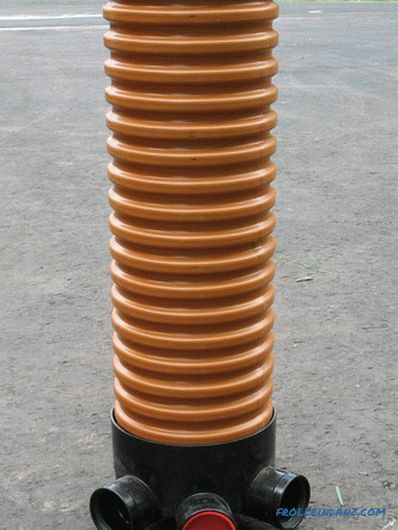 The standard raw materials for their production are concrete and plastic. These designs include rings of different diameters. The installation of such an engineering tank is carried out by a crane. Durability, efficiency and durability are considered advantages, while the complexity of installation makes you think about its necessity. They are more efficient and more practical, therefore stubbornly crowding out concrete counterparts. 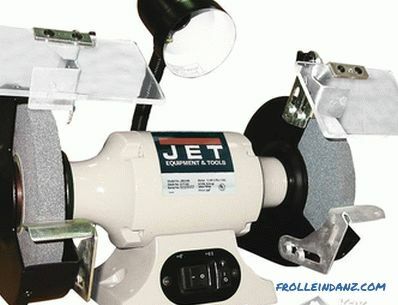 It is easier and faster to install these tanks, as they have less weight and cost. 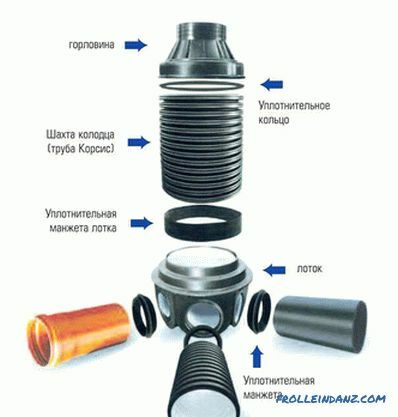 Plastic containers are not affected by corrosion, and therefore the duration of operation corresponding to - 50 years. 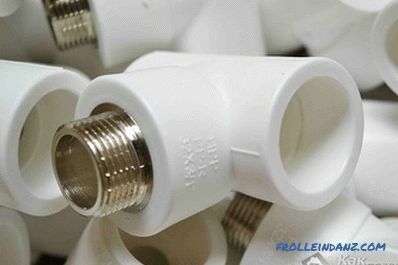 Pipes to plastic wells join the cuffs capable to keep tightness many years. 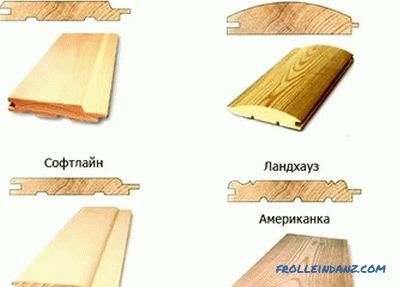 Such products are not afraid of extrusion from the ground in the cold season, because they are attached there with ribs, ensuring the reliability of the installation. Compactness. 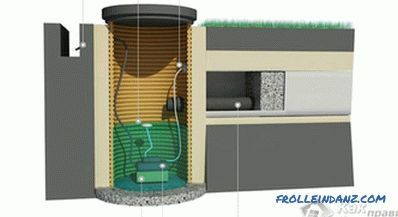 Four concrete wells with a diameter of one meter will look unaesthetic in the corners of a small garden house. Duration of operation. Concrete engineering structures are destroyed after 6 years, while plastic are effective for more than 50 years. 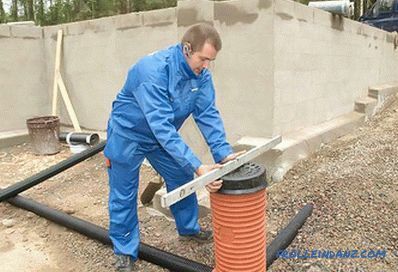 Low cost.The plastic well is easy to install, calling friends for help, while special equipment is needed for laying concrete rings, the cost of which is prohibitive. 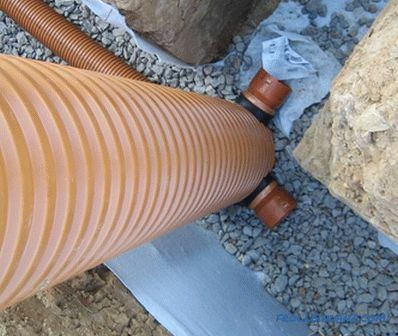 The plastic reservoir can be used immediately after installation and connection of pipes, while in its concrete analogue it is necessary to deal with the installation of special equipment. 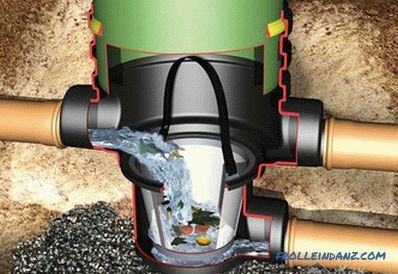 Drainage wells are necessary for most sites, but it is not always possible to make them. 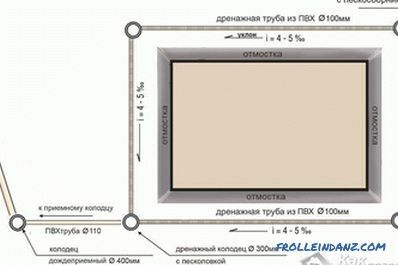 Modern technologies allow you to choose several options for this engineering structure, which differ in complexity of installation, weight, volume, requirements and duration of operation. 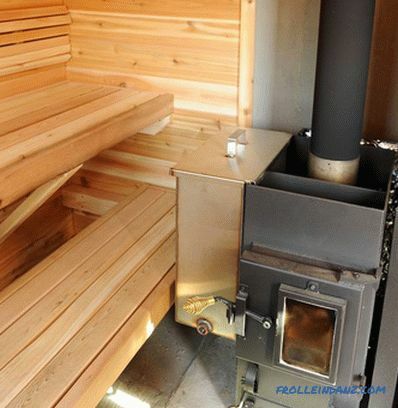 The installation process itself, especially the already completed wells, is quite simple.